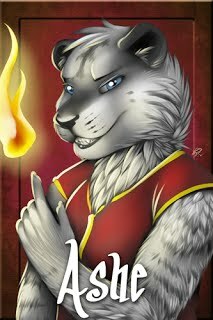 Waylon Darosh, or Ashe Valisca depending on who you ask, is a furry writer specializing in whatever he feels like at the moment. His areas of specialty are Science Fiction, High and Urban Fantasy, Experimental, and of course Adult. Ashe took time off from the publishing scene until recently and instead has spent the last decade teaching writing at Anthrocon and other furry conventions around the USA. Currently, Ashe has several projects in the works including several collaboratives pieces for both writing inside and outside the fandom. Ashe lives in Seattle with his loving and tolerant other half Ianus J.Wolf, and their loveable, and crazy, labradusky (Ashe’s retired service dog). You can follow Ashe’s insane life on @AsheValisca on twitter or email via wdarosh@gmail.com.